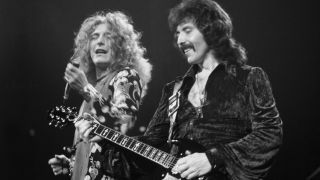 In the 1970s, rock bands didn’t come any bigger or more influential than Black Sabbath and Led Zeppelin. But any rivalry between the two groups was outweighed by their long-standing friendship – one that peaked with one of history’s greatest lost jam sessions. But it wasn’t until Black Sabbath were making their 1975 album Sabotage that the two bands finally got together in the studio, albeit in shambolic fashion. While Iommi says that the jam was recorded, the legendary Led Sabbath – or is it Black Zeppelin? – session has sadly been lost to history.